If you’re thinking of something really different to do, or you want to get a gift for someone that they’ll never forget, what about a ride in a helicopter? As long as the person isn’t afraid of heights, it’s a fantastic way to travel. Liking the sound of it? Here are some helicopter ideas and why it’s a great way to travel. Think about it – seeing the sights while travelling has so many more perks than just flying in a plane. As a passenger in a helicopter, you can get a brilliant bird’s eye view of pretty much everything. That’s because helicopters fly much closer to the ground than planes. So, you don’t just see mere dots on the ground, but actual sights and architecture. And, since you can see for miles, the scenery is simply awe-inspiring. 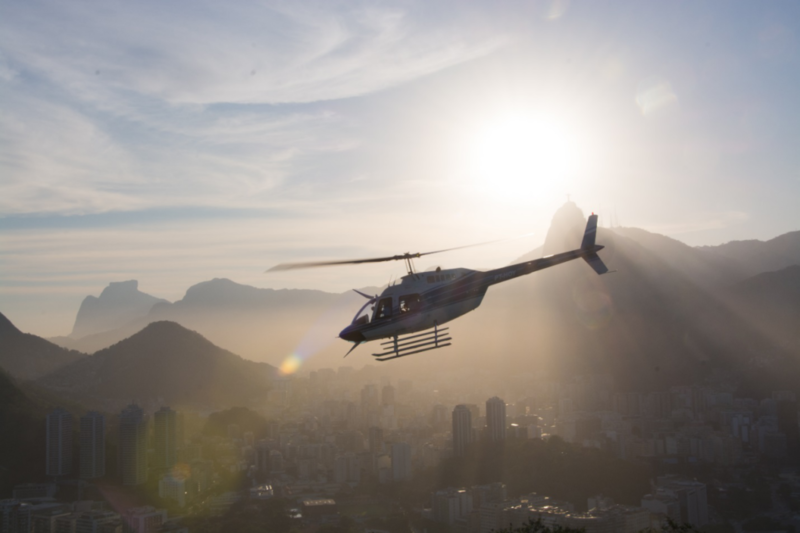 Exciting helicopter rides are a great gift for photographers, even budding photographers. There’s really no better opportunity for incredible images than the aerial views you can get from your seat in a helicopter. It sure beats that standard ground view of any subject, and it’s at a much lower altitude than an aeroplane. What’s more, a helicopter ride makes for amazing video footage. You or the person you gift the ride to can look forward to amazing vistas where he or she, you, and the camera, can see for miles around at a time. It’s a brilliant option, whether you want to film gorgeous landscapes or an entire magical city. You just won’t get the same sort of experience from a plane or on the ground. Another reason why helicopter is a great way to travel is that there are less passengers at a time. This means that you and your partner won’t be crammed in with hundreds of other people. In fact, you can purchase tickets for a private group tour which is ideal for a couple or family. You could even give the gift of a helicopter ride for a bridal shower or bachelor party gift. Unlike larger tours, helicopter tours are intimate and only include a couple of people. So, you’ll be able to hear the guide and you don’t have to worry about missing out on something during the adventure. When you go on a helicopter ride, you can design a personalised tour. Some tour operators offer a choice of routes and sights, so you can pick the right one for you and skip the sights you’ve seen before. A helicopter is the perfect way to travel. It’s great for seeing the city like you’ve never seen it before, from a bird’s eye view and in a completely different way. A helicopter tour will help you discover a new city or area and explore amazing wonders, with just a close friend or your family to enjoy the experience with.